THE ARTIST Hiroshige Ando (1797 - 1858) is one of Japans best know artists. 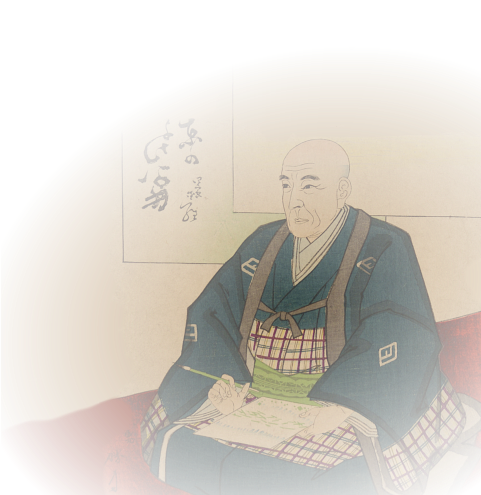 Unfortunately we know relatively about him, for most of his notes and sketches were destroyed during the Great Kanto Earthquake of 1923. But what remains reveals him as a terrific companion: he is intriguing, strong-minded and occasionally cynical, lives in fascinating times and leads an interesting life. Tradition holds that Hiroshige traveled the Tokaido in 1832 with a detachment of the Edo fire brigade, which had the duty of escorting a horse -- a gift from the Shogun-- to the Emperor. Along the way he sketched. The result of this work was published a few years later and became an immediate success. Known as The Fifty Three Stations of the Tokaido it remains a masterpiece of Japanese art. Spurred on by publishers, Hiroshige designed several more Tokaido series in subsequent years. Though they consolidated his fame and reputation, none of them equaled the mastery and originality he displayed in the original series.